For those of you who don't know, that is twice the capacity that could be produced by the previous 34nm process. Intel has done a lot of work with the 320 Series. Everything you know about the SSD has been redesigned. It now uses an all-new Intel controller and even supports 128-bit AES encryption. This series also enhances data reliability through extra arrays which amplify the error correction that is already in the flash. Then it adds a failsafe in order to enable the drive to complete writing a file even if it has been interrupted by a loss of power. With all these new features, the new SSD should not have any problems appealing to the target audience of consumers and business users. Intel expects the 320 Series to even find a place in data center and server applications as a replacement for the 15,000 rpm hard drives. Intel has not yet released a retail pricing, however, they do expect the drives to sell in quantity for $89 (40GB), $159 (120GB), $289 (160GB) $529 (300GB) and $1,069 (600GB). If you want a comparison, the Crucial RealSSD 300 (256GB) currently sells for $475 while the Intel X25-M (160GB) goes for about $410. 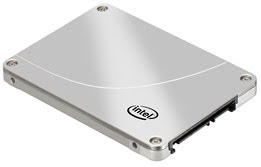 Intel has stated that they expect the 160GB SSD 320 Series to sell for "about $100" less than the X25-M. A year ago a 256GB SSD would run you around $750, so if Intel's expected volume prices can become retail prices, we may just see a new lineup that could help adapt SSD into a more mainstream item. Find out what is going on in the Tech Army World. What are the Top 10 Money Making Missions? What other companies have joined and what do they do? How do I join the Tech Army Organization ?